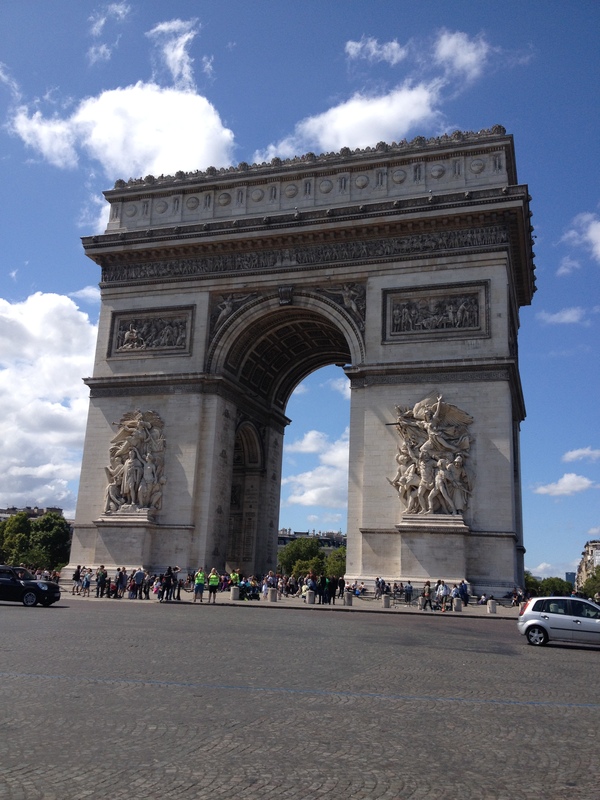 The Arc De Triumphe was erected by Napoleon in 1806 as a monument to the soldiers who fought and died in the French Revolutionary War as well as the Napoleonic Wars. It is engraved with the names of the battles (French victories) as well as the generals who led France to the victories. 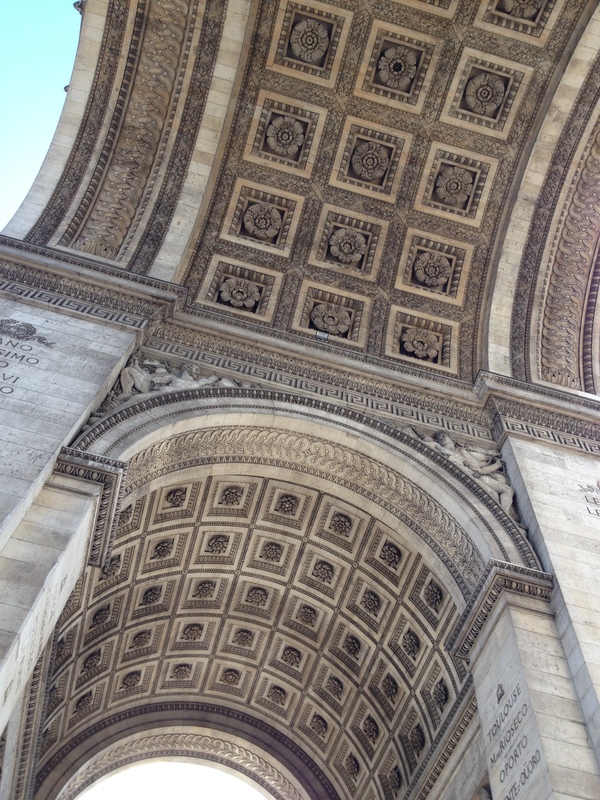 The design was modeled after the Arch of Titus in Rome. Napoleon was a massive fan of the Romans and their emperors so he wanted something equally as grand (this author’s opinion here). The place is massive and sits in the middle of a very busy roundabout at end of the Champs Elysees. It is reached by an underground tunnel that takes you under the street. 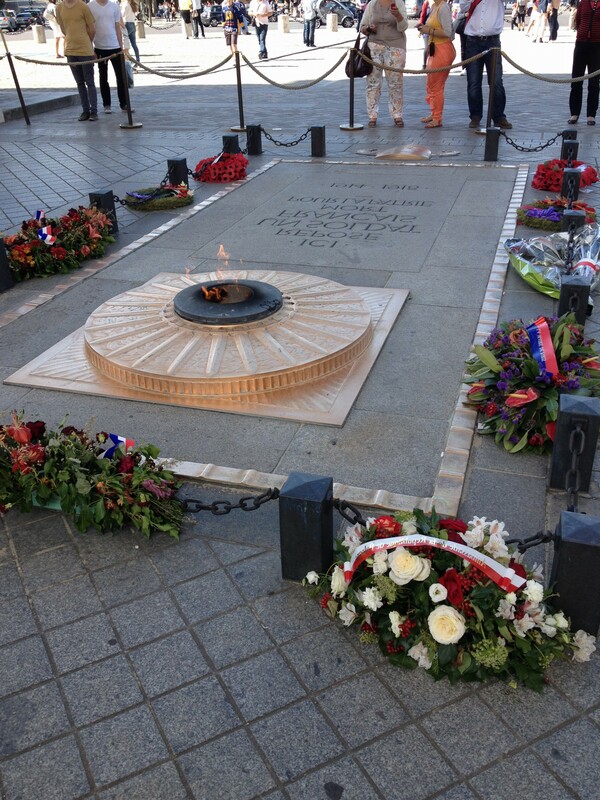 There is a Tomb of the Unknown Soldier (which I couldn’t get on the correct side to take a photo) which is from WWI. The carvings on the sides and the top are absolutely stunning. It’s really a masterpiece of construction. Click on the interior ceiling picture and check out the craftsmanship. Impressive. Further reading here.